Sssshhhhh can you hear it? Thats Toby’s heart beating. Its a good strong heart, its full of fun, its loving, caring and giving, its 21 years old. Toby’s not though, he died when he was just 16. We were enjoying our first day on holiday in Cornwall, a beautiful place called Cadgewith Cove. Toby slipped whilst climbing on rocks, from what we have been told he would have have known nothing. He broke nothing which I still find unbelievable but the blow to his head was catastrophic. However, thanks to the quick thinking of three very dear people Toby was kept going long enough for the air sea rescue to get him to hospital and CT scans to establish brain death. Those first few hours are now a blur and I think I am probably glad they are. We were prepared for the worse by the first consultant we saw who told us that it looked grim, when Toby went up to ICU were were told that he Toby was brain dead from the impact of the fall. It really matters that the consultant telling us cried as she did so. It left no doubt and gave us complete trust, we knew that they cared ad would have saved Toby is they could. 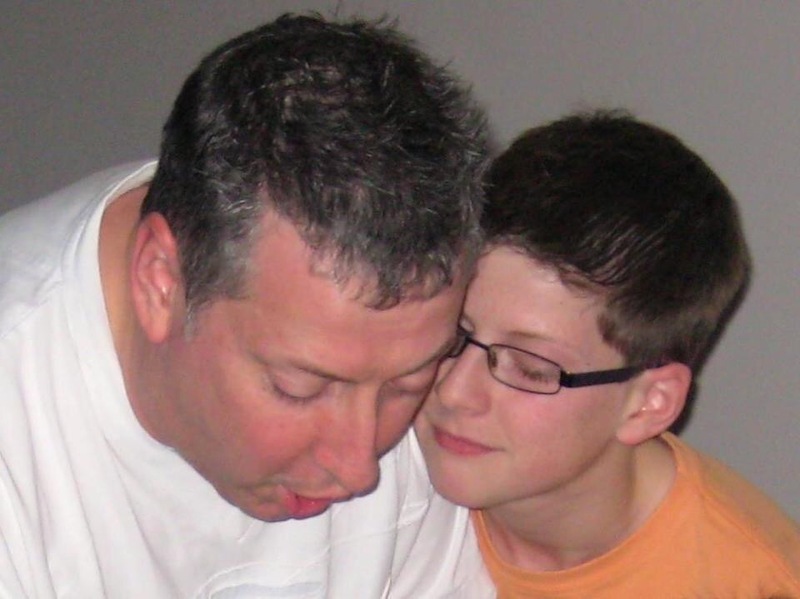 A couple of years ago Toby’s grandma died, her death prompted us to have discussions about what we would want when we died, of course I thought it was me telling Toby my wishes, I am glad I did not know then just how important that conversation was to be. I remember saying to the hospital staff, you are going to ask about organ donation aren’t you, the answer is yes. I remember how taken aback they were at how easy the decision was. But you see I remembered that conversation with Toby, we were sat in the kitchen and he said very clearly he would want his organs donated. This was therefore his final wish and the last one we could grant. Toby was declared dead at 6.55pm, The transplant team did not come for his organs until 10am the following morning. That was my longest night. Do you know how rhythmical a life support machine is? All through that night I listened to it, I stroked Toby’s hands and face, I kissed him, I told him how much I loved him. We make painted hand prints, red for Liverpool.It was the hardest night ever, I never wanted it to end but I also needed it to end. I could actually feel my heart gradually breaking.We had to answer loads of questions, all so important in ensuring the best match, there were decisions we had to make that I never thought I would have to. The moral dilemmas you face, all with lots of support and all considering us as well as the potential recipients. Staff worked around us with such respect, keeping Toby’s body safe until the transplant team could get there. They gave us such support, it made us strong enough to get through that night and make Toby’s wishes come true. Leaving Toby was the worst thing I have ever done in my life, I knew that I would never see him again warm and soft and kissable. Just before Toby’s funeral we had a letter to tell us the difference Toby had made, he had given his heart, his liver, both kidneys and his pancreas. Four families lives were turned around by Toby, they were given back life. Two months on I still hear it you know, Toby’s heart, it has a soft gentle rhythm. Its a good heart, its strong and kind. I hope it gives a long and happy life to the recipient. When your child dies so does a big part of you, if Toby had needed a transplant, I would have wanted some other parent or family to make the same decisions that we did. #organdonation #havethediscussion we did and it has given us some comfort and made us very proud.